Nudibranchs, or sea slugs, are descended from animals with protective shells like those of modern snails. Nudibranchs have lost that shell, leaving them potentially vulnerable: squishy morsels in an ocean full of hungry things. But nudibranchs have some tricks to avoid becoming someone else’s meal: they use their own food to protect themselves. Hermissenda crassicornis may not have a shell, but he is well-defended. One trick is to steal the defenses of your prey. 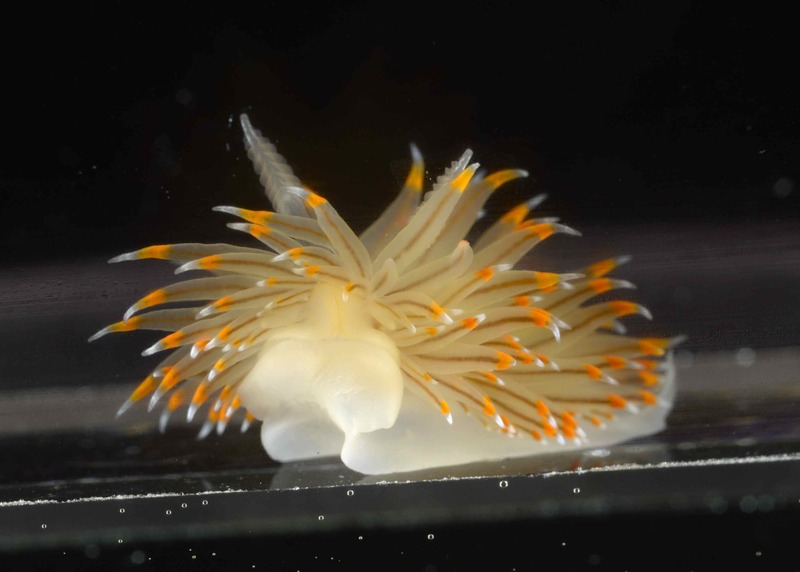 Many nudibranchs eat stinging animals like hydroids and anemones. These animals use specialized stinging cells to catch their own prey and to defend themselves. 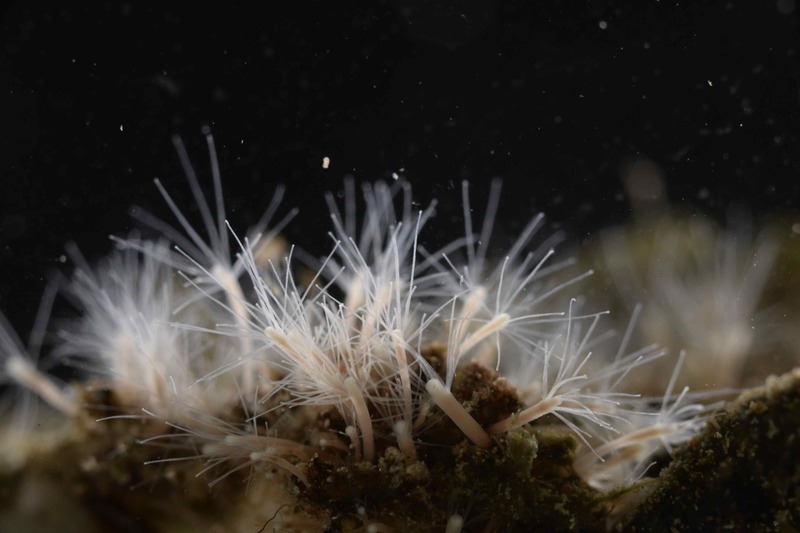 Hydroids. The stinging cells are on the ends of the long tentacles, waiting to catch prey.